Sadly, just a week before Christmas in 2010 Rachel and her two young Daughters were hit with a terrible tragedy, Rachel’s Husband died of a massive brain haemorrhage at the age of 38. Rachel wanted to try and get some good out of the terrible event that had struck her young life, so she took it upon herself to find a Charity to support that had some relevance to her Husbands death. She very quickly came across Headway Essex. 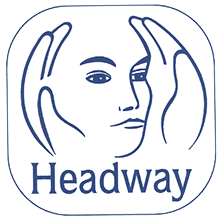 Headway Essex support people and their families who have suffered brain injury and Rachel believed that had her Husband survived his brain haemorrhage he would have been left with severe brain damage and she too would have probably been accessing the Services of Headway Essex herself. Rachel now supports Headway Essex by holding an annual Golf Event, her Husbands sporting passion, provides them with free HR Advice and donates regularly as a business and as a main sponsor for their annual Summer Balls. 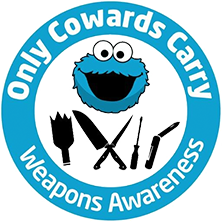 Approximately 2 years following the death of her Husband Rachel heard about Jay Whiston, a young 17 year old boy who had been fatally stabbed just a few streets away from where she lived. Through business connections Rachel was introduced to Jays Mum, Caroline where they struck up a friendship due to the heartbreak they had both suffered and Rachel is now a Trustee of the Charity Caroline has set up in Jays honour, Only Cowards Carry and again makes regular donations from the business. Rachel and HR Elite are proud to support these charities and the excellent work they do to support people and their families who are less fortunate than most of us.